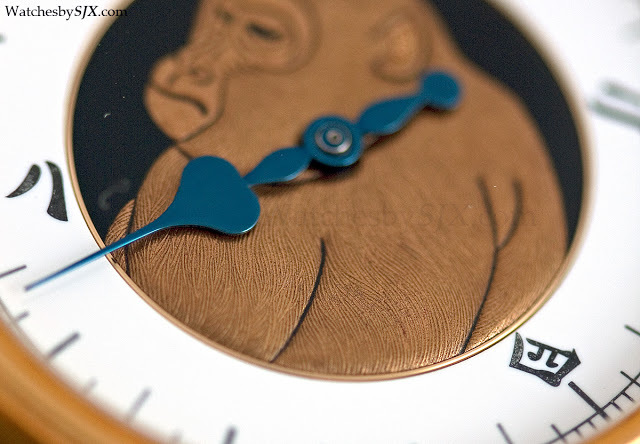 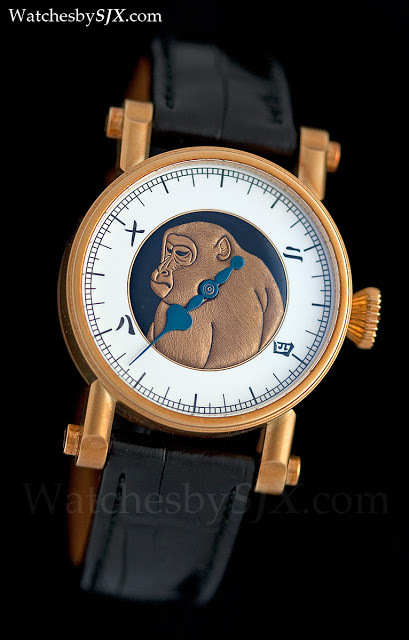 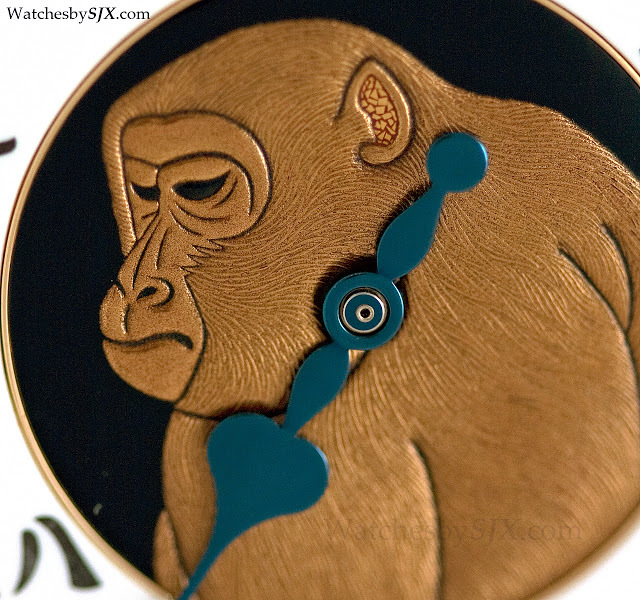 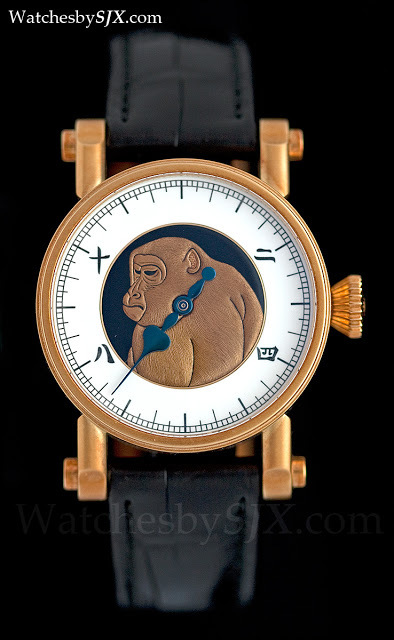 This unique Peter Speake-Marin Shimoda with a monkey motif was commissioned several years ago - the owner has custom watches for each of his children depicting the child's zodiac sign. 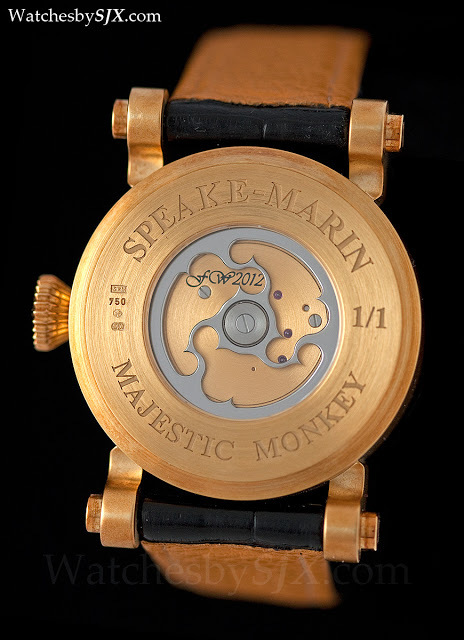 Named after a Japanese client who suggested it, the Shimoda is Speake-Marin’s distinctive and now discontinued one-hand watch. 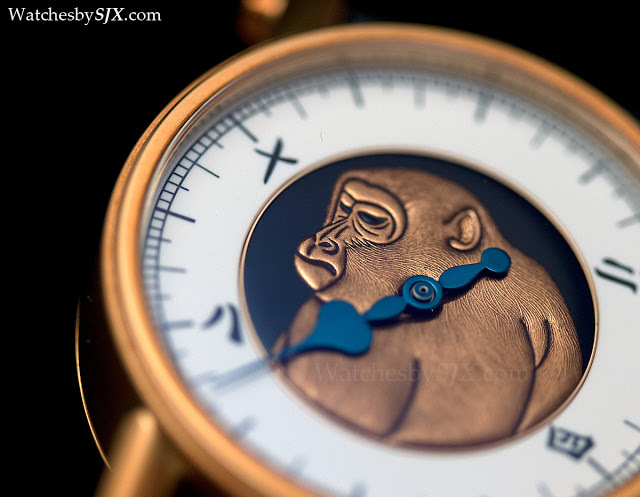 The monkey is executed in the Japanese lacquer technique known as maki-e (meaning “sprinkled picture), which comprises urushi lacquer with gold dust. 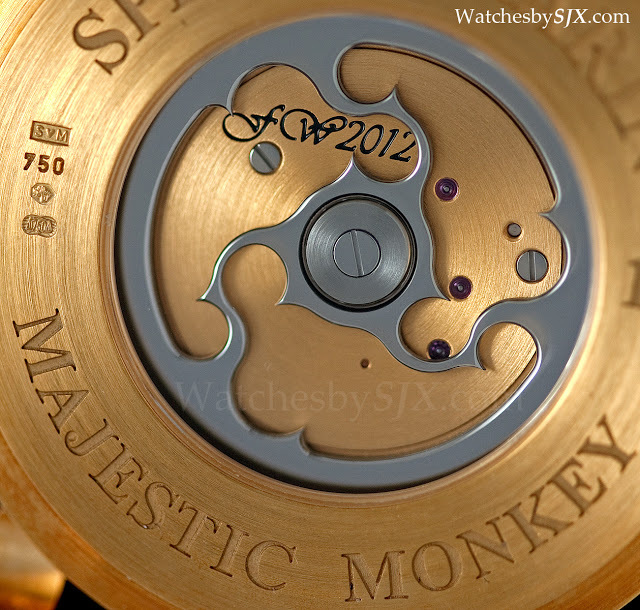 It was painted by maki-e artistan Yamazaki Mushu. 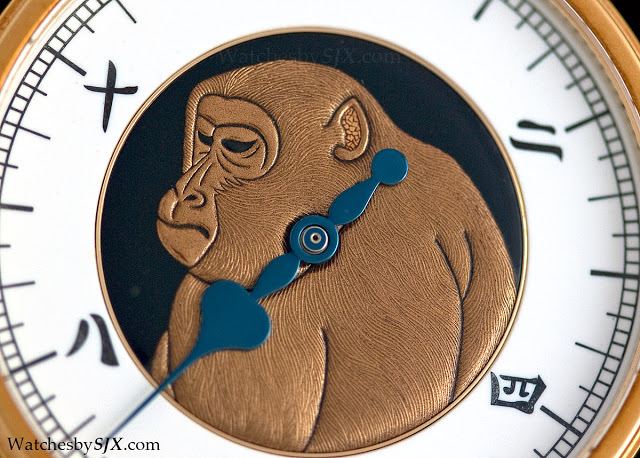 Circling the maki-e dial centre is a grand feu enamel chapter ring with the numerals 2,4, 8 and 10 in Chinese characters. 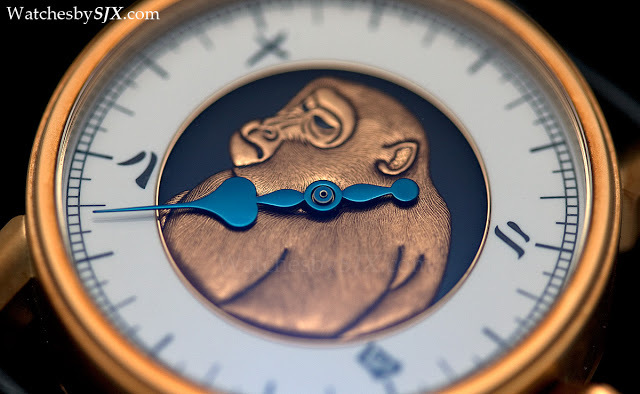 “I don’t want to clutter the watch with too many numbers on the dial, the basic Shimoda has too many in my opinion”, the owner explains. 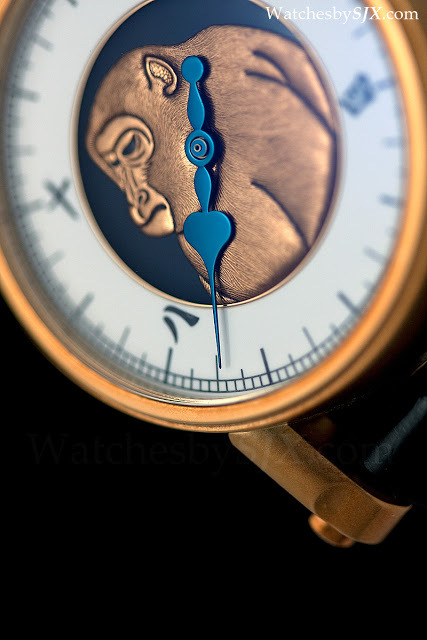 Becase most watches have 12, 3, 6 and 9, the owner chose this uncommon combination of hour indices.